They say there's nothing faster than the speed of light... Perhaps, but you may change your opinion after hearing some insane solos of Dr. Frankenshred. It's not just shredding for the sake of shredding though - the Doctor proves he's also a great composer and works with the best musicians around, which resulted in an album loaded with kickass songs with solid hooks, awesome chops and killer vocals. But what's in this cauldron? Early ANTHRAX, SACRED REICH, MELIAH RAGE, METAL CHURCH, RACER X, CJSS, MALMSTEEN - a meltdown of traditional US power/speed metal verging on thrash, full of brilliant guitar tactics. FRANKENSHRED, formed in late 1996, started out as an instrumental project. The original line-up consisted of Dr. Frankenshred (guitar, known also from COMMANDMENT, as JR3), W.W. Spencer (bass), and Kelly Knight (drums). By June of 1997 FRANKENSHRED recorded a self-titled instrumental album engineered by Michael Vein and released it on cassette. Many positive reviews and a lot of live dates followed, including shows with LYNCH MOB, SACRED REICH and TONY MACALPINE. In October 1998 the band split up due to different personal obligations. At this time the Doctor retained his role as Dr. Frankenshred and joined the shock metal band ST. MADNESS, with whom he performed on "God Bless America" (1998), "Scare The World" (1999) and "We Make Evil Fun" (compilation released in 2003). More live dates followed including shows with KING DIAMOND, FLOTSAM & JETSAM, SACRED REICH, VAN HALEN and at MILWAUKEE METALFEST 12 & 13. In 2000 the original FRANKENSHRED line-up reformed and recorded a follow up instrumental CD called "Evil Shred" that was released on Guitar Nine Records and one year later made available also for downloading through David T. Chastain's Diginet Music label. This recording led to having the song "Igor's Revenge" featured on the 2001 guitar compilation called "Lick This" which also featured guitar shredders Rusty Cooley and Mike Chlasciak. Also in 2001 Dr. Frankenshred recorded another CD, released through Diginet Music label (as a part of the "Guitar Masters" series) which featured Dr. Frankenshred (guitar), David T. Chastain (bass) and Mike Haid (drums). Other guitar shredders were involved in this series, including Gus G. This also led to a live performance at the annual Ibanez Jemfest in Orlando, Florida in 2001. Another CD called "Extreme Solos" was also released in 2001 on the Diginet label, which features guitar solos by Dr. Frankenshred, Joe Stump and David T. Chastain among others. Around this time in 2002, the band tried to add a vocalist to the line-up. Many auditions were held and unfortunately meanwhile the original Frankenshred drummer quit due to not being able to agree on which vocalist to use and what direction to pursue. It wasn't until 2004 that a vocalist and a new drummer were secured. This line-up featured Rich McManus (vocals), Dr. Frankenshred (guitar), W.W. Spencer (bass) and Greg Hall (drums, SACRED REICH). The same year new CD was recorded at Tall Cat Studios in Phoenix, Arizona and was mixed and mastered in Germany at The Music Factory by Christian Schmid at the recommendation from David T. Chastain. Many live dates followed including shows with METAL CHURCH, GRAVE DIGGER, LIZZY BORDEN, ATOMIC PUNKS, GARY HOEY and JACKYL. By 2006 the singer and bass player quit due to the frustrating state of the music industry. In 2008 a suitable vocal and bass replacements were found. This line-up featured Kyran Brennan (vocals), Dr. Frankenshred (guitar), Robbie Erwin (bass), Greg Hall (drums, SACRED REICH). In 2009 new songs were recorded, mixed and mastered at Tall Cat Studios, Phoenix Arizona. 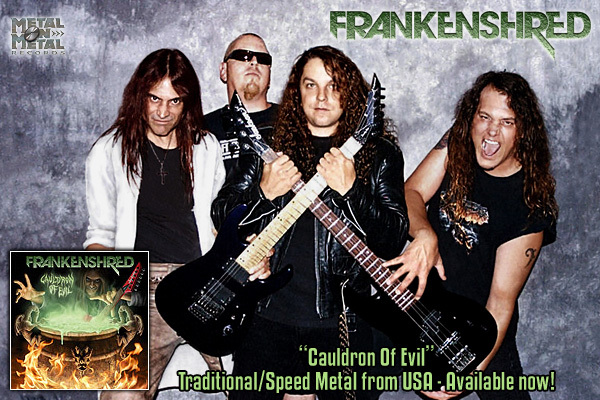 FRANKENSHRED's music caught the interest of Metal On Metal Records, who offered the band to release "Cauldron Of Evil", that is the previously unreleased album from 2004 and 5 songs from the 2009 sessions as bonus tracks. The CD was released in December 2009. As the name suggests, there's plenty of fretboard gymnastics, but it's not just shredding for the sake of shredding. Dr. Frankenshred proves once again that he's also a great composer and chooses to work with some of the best musicians around, which resulted in an album loaded with kickass restless and aggressive songs with lots of hooks - all played on the highest level. Fans of solid traditional US power/speed metal verging on thrash, full of brilliant guitar tactics, should not hesitate to grab "Cauldron Of Evil". 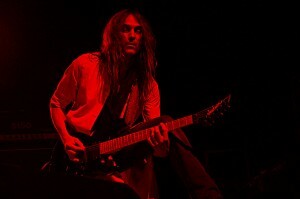 During 2009 FRANKENSHRED parted ways with the vocalist Kyran Brennan and, due to his obligations with SACRED REICH, Greg Hall had to leave the band as well. The drum position was quickly taken by Tom Higgins, however the search for the right vocalist continued... Meanwhile the band played several instrumental gigs as well as with a temporary fill-in vocalist, including a show with Y&T and at a gig Metalstock Festival in Arizona. In 2010 Metal On Metal Records decided to make the first 2 instrumental FRANKENSHRED albums available again, however in a digital format (through the new division DigiMetal), due to the lack of space in the release schedule and the fact that instrumental music has a narrower audience. The albums (re-released as "Into The Lab Vol. 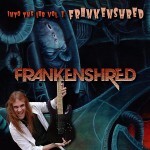 1: Frankenshred" and "Into The Lab Vol. 2: Evil Shred" with several bonus tracks) were made available through CD Baby digital distribution in July 2010. These albums are full of dark and heavy, but also fun music by 3 highly skilled musicians (no computer generated drum tracks!) who don't just show how good they are, but can actually compose enjoyable instrumental songs that can appeal also to non-musicians. And most of all they are METAL (rooted in traditional US metal, speed and thrash, in the same style as "Cauldron Of Evil"), contrary to many shredders' albums. 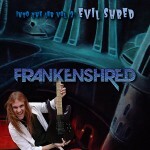 The 2nd instrumental FRANKENSHRED album "Evil Shred" was originally released in 2000 and continues the story of the crazy doctor. With dark, ominous melodies, crushing, aggressive rhythms, catchy riffs rooted firmly in speed, thrash and traditional US metal and of course with the powerful and expressive voice of the shred guitar, this music can get you mesmerized, but also melt down your speakers! Stylistically it's the same as their debut but also the "Cauldron Of Evil" album (just without vocals). Highly recommended to those who want their shred metal in your face with no apologies and no vocals to get in the way and enjoyable by non-musicians too! Here's the 1st homonymous FRANKENSHRED album from 1997, back when the band was an instrumental trio. This is dark and heavy metal loaded with razor-sharp guitar solos, killer riffs, throbbing, gristly bass and pounding drums, reminiscent of CACOPHONY and YNGWIE MALMSTEEN, though it often has a more speed/thrash metal than neo-classical character. Long, captivating compositions go through various speeds and moods and can create images in your mind through their haunting atmosphere... just close your eyes and enter the twisted world of Dr. Frankenshred... There's no need for a vocalist here - the instruments tell the stories!